The Reverend Dr. Sheldon Jackson was a Presbyterian missionary and first General Agent of Education for Alaska. As one of the organizers of the Alaska Society of Natural History and Ethnology, the precursor to the Sheldon Jackson Museum, he recognized the importance of saving historic, cultural, and natural history objects for the benefit of future generations. He began collecting and purchasing material from Alaska Native peoples in the late 1870s. Between 1887 through 1898, Dr. Sheldon Jackson amassed most of the museum’s collection. It has been called “a jewel in the crown of Alaska ethnographic collections.” It includes objects from each of the Native groups in Alaska: Tlingit, Haida, Tsimshian, Unangan (Aleut), Alutiiq, Yup’ik, Inupiat and Athabascan. … otherwise, in a few years there would be nothing left to show the coming generations of Natives how their fathers lived.” (1893). Although his references were to the students of the school he founded in Sitka, the Sitka Industrial Training School, his intent has expanded to mean “student” in its broadest terms. 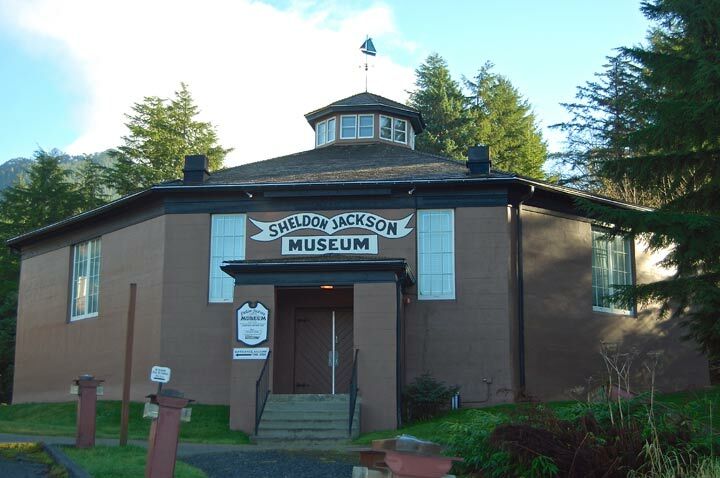 The Sheldon Jackson Museum was operated by the Sitka Industrial Training School, then its forerunner Sheldon Jackson College until it was purchased in 1984 by the State of Alaska to inspire human thought and artistic endeavor, stimulate ethnographic research and foster an awareness of, and an appreciation for, the enriching qualities of a multi-cultural existence. Though the college closed, the museum is still located on the historic Sheldon Jackson campus, now a hub of arts and cultural organizations, and in its original concrete building, the first structure of its kind in Alaska, constructed in 1897. Today, carrying on the work of Dr. Jackson, the museum continues to preserve, exhibit, and interpret Alaska Native ethnographic material and art and provide visitors the opportunity to learn about the history, culture, innovation, and ingenuity of Alaska’s Native People. In October of 2013, the museum’s scope of collections was broadened to include contemporary Alaska Native art. Whether one’s interest lies in 19th century utilitarian objects used for daily living, watercraft, equipment, clothing, ceremonial objects or art made by contemporary Alaska Native artists, the Sheldon Jackson Museum offers every visitor the opportunity to see a broad spectrum of Alaska Native material culture. Join our mailing list to receive the latest news and updates from the Friends of Sheldon Jackson Museum.